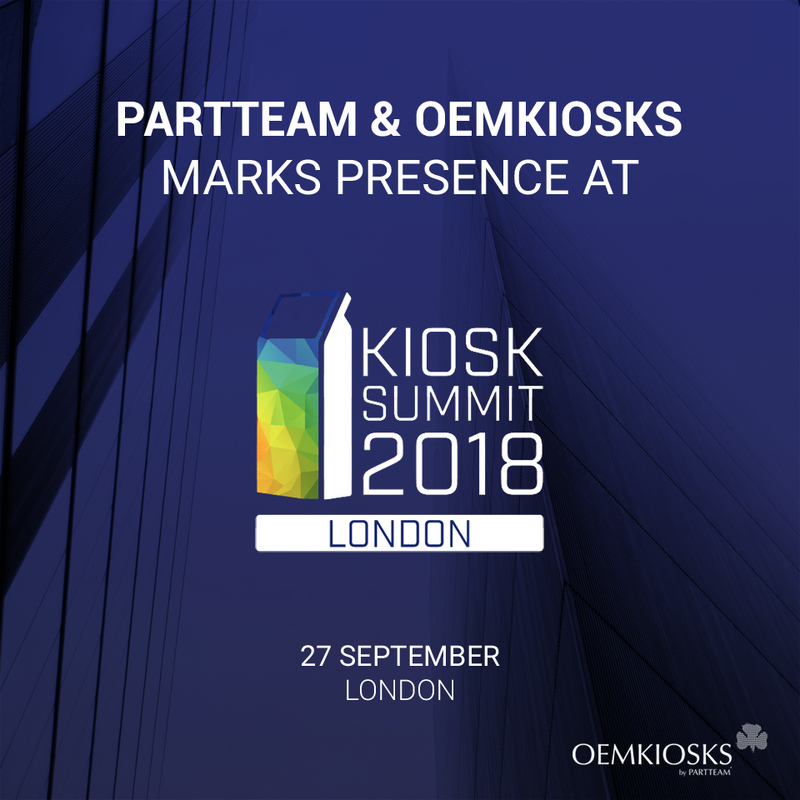 PARTTEAM & OEMKIOSKS will be present at the Kiosk Summit 2018, one of the only events held in Europe dedicated to the kiosk industry and self-service technology. PARTTEAM & OEMKIOSKS presents a set of customized technological solutions for the different business sectors, such as QSR self-service kiosks, check-in / check-out, digital billboards, queue management and more ! This event is a fantastic opportunity for manufacturers of multimedia kiosks to promote networking and knowledge sharing among participants and visitors. PARTTEAM & OEMKIOSKS develops and manufactures digital kiosks and billboards for each project. Come and talk with PARTTEAM & OEMKIOSKS and learn about the latest technological innovations and all the advantages you can enjoy in partnering with a company that is experienced in the market and recognized internationally.